HVAC stands for heating, ventilation, and air conditioning. It’s an important system in all households because it ensures yours and your family’s comfort. To stay warm during those chilly winters and cool despite the summer sun, it’s necessary to ensure that it stays in good condition. The easiest way to do it is by following up with regular HVAC maintenance. A well-maintained unit saves more energy and also saves you quite a bit of money on costly repairs. 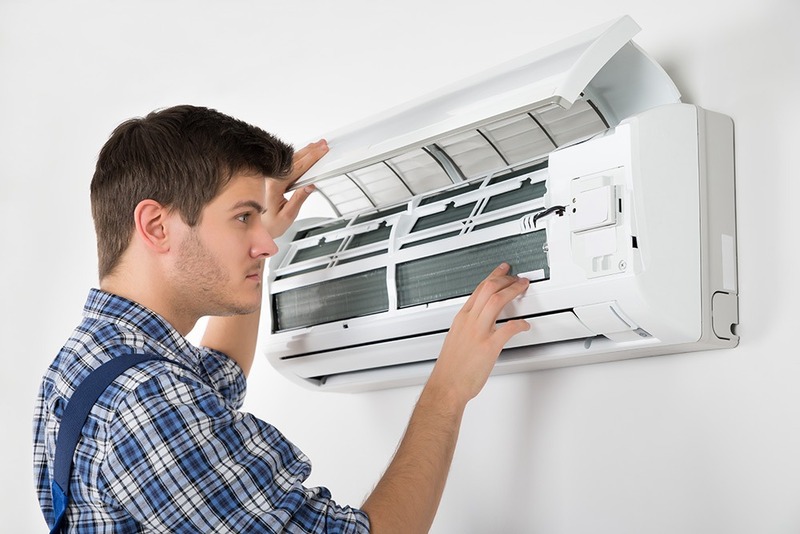 So if you have an HVAC unit at home, familiarize yourself with the nitty-gritty details so that you can take care of the basic maintenance, while professionals can handle the problematic issues. In this article, we have listed six essential maintenance tips that you can follow to have a well-functioning HVAC unit. While keeping the internal unit clean is important, you need to take care of the external unit too. It is exposed to various elements throughout the year and requires regular cleaning. To keep it clean, you must remove the debris that usually collects outside the unit and the leaves and grass that accumulates at the top. You can also remove the outer cover to remove the dirt with the help of a garden hose or a shop-vac. Avoid using any high-powered pressure washers because it may damage the external unit. Do not forget to clean the base of the unit because a lot of dirt and debris usually accumulate there as well. Changing the air filter on a regular basis ensures good air quality, improves the overall performance of the device, and increases the longevity of your HVAC system. You should check the air filter every month and replace it if you find it dirty. This is one of the easiest maintenance steps that won’t be too heavy on your pockets. When you change the air filter, check the vents in your home for any dirt and debris that might have accumulated in them and clean them with a vacuum. This ensures proper airflow and improves air quality. Even though this tip does not involve your HVAC unit, it sure does help it function properly. Insulation of your attic does not let warm air escape from your home and thus takes some of the load off the HVAC unit. This step does not only help with the operation of the HVAC system but is also a great way to keep your home energy-efficient. Do remember to take proper precautions while installing insulation and make sure that it goes high enough to block the view of floor joists. Cleaning the evaporator coils is an important step to ensure clean airflow and prevent unexpected repairs. To clean the evaporator coils, you need to turn off the unit first. Then, unscrew the door at the furnace to open it and access the coils. Use a soft, clean cloth to wipe away dust and then spray a commercial coil cleaner on them before wiping it away. The foam from the cleaner usually drips onto the drain pan which can be washed with bleach and water. Close the door once you are done. Another important HVAC maintenance step is the cleaning of the evaporator drain. During the summertime, the evaporator coil absorbs the heat from warm air in order to cool it. This causes condensation, which drips into a pan. The liquid then flows through a pipe and into a floor drain. If this drain is neglected, algae or mold will start to develop, which will eventually clog the drain. A clogged drain can cause water damage and can affect your unit, making it difficult for it to cool your interior properly. To clean the drain, locate it first. Most drains are made of PVC and can be found near the evaporator coils. Once you locate the pipe, see where it drains and then use a wet-dry vacuum to pull out any debris from the end of the drain. To ensure the proper functioning of your HVAC unit and to avoid unnecessary repairs, get your unit inspected every year by professionals. The best time to get your unit checked is in the fall, just before the colder months start coming in.